Merck Foundation commits to build cancer care capacity and support Uganda Cancer Institute as a center of Excellence for East Africa. Merck Foundation, a Non-Profit organization, and a subsidiary of Merck KGaA underscored their commitment to long term partnership with Government of Uganda to build healthcare capacity with special focus on diabetes, cardiovascular diseases, infertility and cancer. During the high-level meeting between His Excellency Prime Minister of Uganda, Dr. Ruhakana Rugunda, Uganda Minister of State of Health, Hon. Sarah Opendi, Chairman of the Executive Board of E. Merck KG, Prof. Frank Stangenberg-Haverkamp and the CEO of Merck Foundation Dr. Rasha Kelej, Merck Foundation affirmed their commitment to long term partnership with the Government of Uganda to continue their efforts to improve access to healthcare solutions across the country which started in 2012. 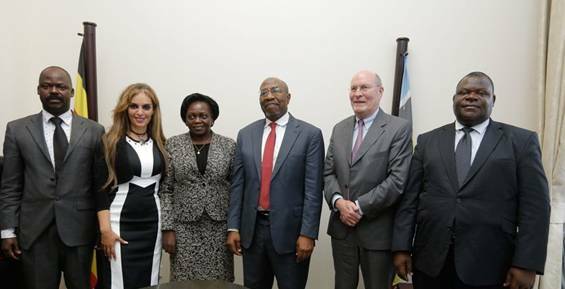 Uganda Prime Minister, His Excellency Dr. Ruhakana Rugunda (second left) and Chairman of both Executive Board of E. Merck KG and Merck Foundation Board of Trustees, Prof. Frank Stangenberg-Haverkamp (second right) and Uganda Minister of State for Health Hon. 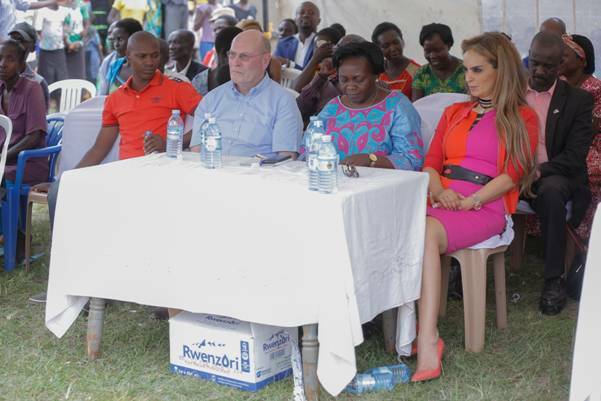 Sarah Opendi (left) listen to Dr. Rasha Kelej, CEO of Merck Foundation during their meeting with the Uganda Prime Minister. 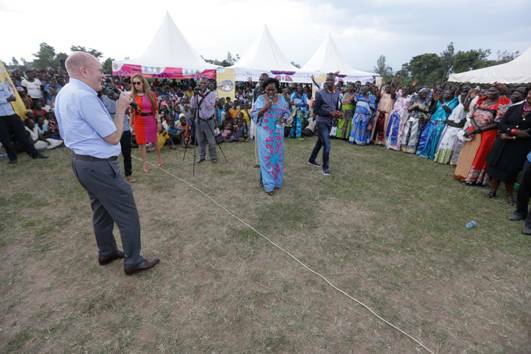 Prof. Frank Stangenberg-Haverkamp, Chairman of Board of Trustees of Merck Foundation emphasized his commitment to working with Uganda Ministry of Health because of great strides the country has made in building regional centres of excellence for fertility and cancer. “We appreciate the constant support from the Ministry of Health and thank the Government of Uganda in elevating the health status of Ugandans,” said Prof. Frank Stangenberg-Haverkamp. Earlier, Merck foundation together with Ministry of Health of Uganda held a series of meetings and visits to various health institutions and rural communities. 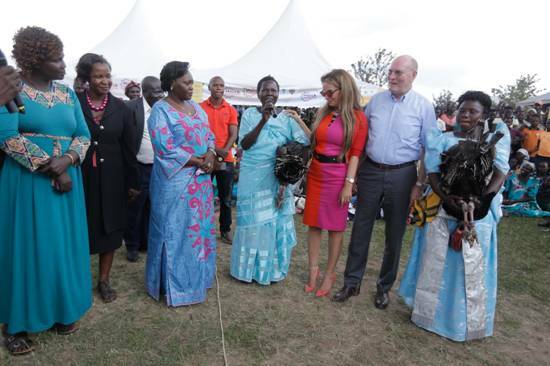 Merck Foundation together with the Uganda Ministry of Health visited rural villages in Western Uganda where ‘Merck More than a Mother’ campaign has established various income generating projects to support infertile women. 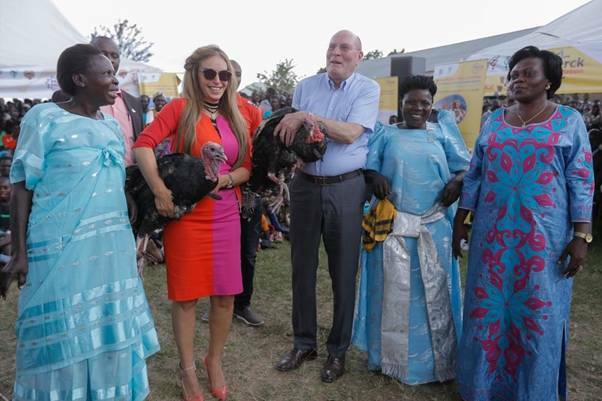 The Merck Foundation handed over an oxen plough, poultry farms and table banking projects to Merck more than a mother women groups to empower them socially and economically. The Merck More than a Mother women group in appreciation of the Foundation’s support gave Prof. Frank Stangenberg-Haverkamp and Dr. Rasha Kelej turkeys from their flourishing poultry farm. ​“One of my most fulfilling moments is seeing these childless women lead happy and independent lives. It was very critical to partner with Ministry of health to enable us to reach to the heart of Africa and raise awareness about infertility prevention and management and break the stigma around infertile women. This is quite a transformation. ” said Dr. Rasha Kelej. ​Merck Foundation, through their ‘Merck More than a Mother’ campaign, focuses on empowering infertile women through access to information, awareness, health, change of mind set and economic support in addition to building fertility care capacity across the continent. “Raising awareness about male infertility is very important to change the culture as infertility affects women and men equally and yet women are the one who been solely blamed, discriminated and mistreated in their communities. The campaign will address this topic and encourage men to discuss openly their infertility and share the journey of infertility diagnosis and treatment with their wives,” Kelej added. 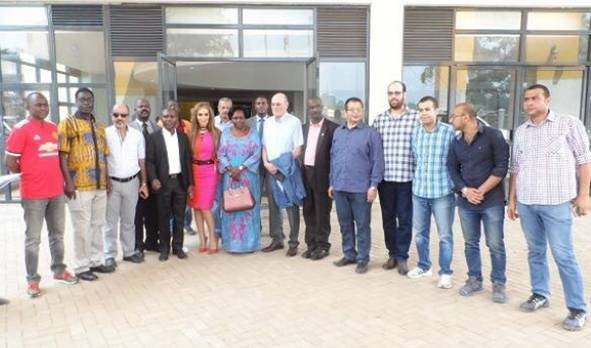 “Among the many projects we established for the childless women across Africa, it is the highlight of our work and efforts to travel here with the chairman of Executive Board of Merck KG, Prof. Frank Stangenberg-Haverkamp to the heart of Africa to help transform these women’s lives,” said Dr. Rasha Kelej, CEO of Merck Foundation. During their visit to the new Women Maternal Hospital, Merck Foundation through the Merck More than a Mother campaign committed to supporting the training of embryologists and fertility specialists and the establishment of the first public IVF centre in the new hospital which will be the first in sub- Saharan Africa as well. The First public IVF centre established in Kampala, Uganda aims to improve access to regulated and cost effective fertility care across Uganda and the rest of Africa. And on his part, Chairman of the Board of Trustees of Merck Foundation, Prof Frank Stangenberg-Haverkamp, commended the high standards of Uganda Cancer Institute and their prudent use of funds in constructing and equipping the centre. “Through Merck Cancer Access Program, Merck Foundation will continue doing what they do best, building cancer care capacity through providing one, two and three year oncology fellowship programs to doctors and technicians in partnership with the Ministry of Health of Uganda with the aim of increasing the limited number of oncologists in the country and across Africa” said Dr.Rasha Kelej. Merck Foundation affirmed their support to the Cancer institute’s role as a regional centre of excellence for East Africa. 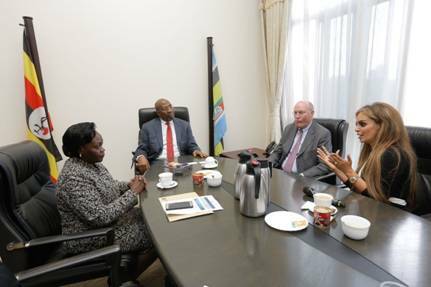 From left: Dr Nixon explains a point to Chairman of the Executive Board of the Merck, Prof. Frank Stangenberg-Haverkamp, Uganda Minister of Health, Hon. 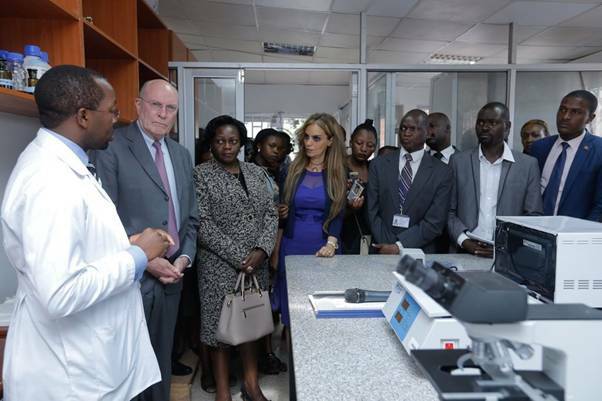 Sarah Opendi, Dr Rasha Kelej, CEO of Merck Foundation and other officials when they toured the Uganda Cancer Institute.